Restaurant Kitchen Cleaners are designed to sanitize without contaminating food. Our kitchen antibacterial cleaners are excellent for kitchen table surfaces and dining area tables and bars. Buy your wholesale Kitchen Cleaners from the restaurant supply superstore. Discovery Grill Foam Plus Aerosol Cleaner - 19 Oz. Reckitt Benckiser Easy Off Non-Caustic Oven and Grill Cleaner - 24 Oz. 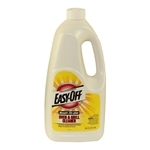 Reckitt Benckiser Easy Off Oven and Grill Aerosol Cleaner - 24 Oz. Reckitt Benckiser Lysol Antibacterial Kitchen Cleaner - 32 Oz. Reckitt Benckiser Easy Off Oven and Grill Liquid Cleaner - 64 Oz. 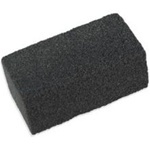 Glit Disco Grill Brick Griddle Cleaner - 3.5 in. x 4 in. x 8 in. U.S.C. 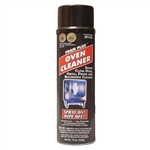 Aerosol Stainless Steel Cleaner - 15 Oz. U.S.C. Areo Stainless Steel Cleaner - 16 Oz. Many of these grill and oven cleaners are degreasers to get off that hard to remove baked grease. Buy your restaurant supply Kitchen Cleaners from the leader in foodservice supply.